Over the last few weeks we have been out and about in the constituency meeting people and canvassing for the local elections on 24th May. 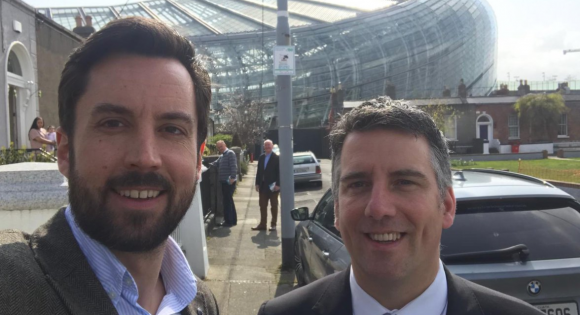 Drop me an email (eoghan.murphy@oir.ie) if you would like to get involved – we will be out every week for the next 6 weeks. Last week I met with the National Transport Authority to discuss the Bus Connects plan and to enquire about the status of the Metrolink project. It is expected that the next phase – the publishing of an updated ‘preferred route’ and a further round of public consultation – is due to happen in the next few weeks. The publishing date has been pushed back several times due to the level of feedback. The project is expected to proceed as follows: another round of public consultation occurs when the updated plan is published; final revisions are made to the scheme; a business case is prepared for Government approval; an Environmental Impact Assessment Report is prepared (this includes how communities will be affected), and finally, if those stages are passed; an application is made to An Bord Pleanála. To see information I have previously shared on this, go here. 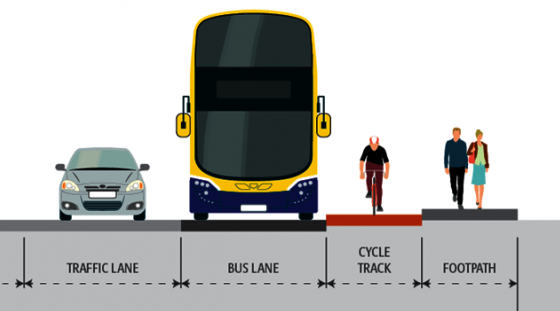 The Core Bus Corridor (phase 3) plan was published this week; the project aims to deliver 230kms of dedicated bus lanes and 200kms of cycle tracks along 16 of the busiest corridors in Dublin to provide a faster, safer & more efficient transport network. 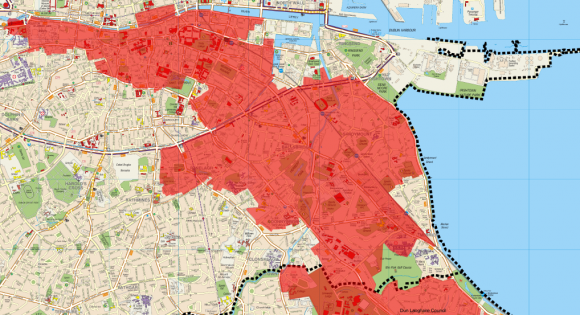 Phase 3 affects Merrion, Donnybrook, Ballsbridge, Ringsend, & the City Centre – and other areas indirectly. Significant traffic changes are being proposed – new & altered cycle routes, different access to roads, removal of off-street parking etc. 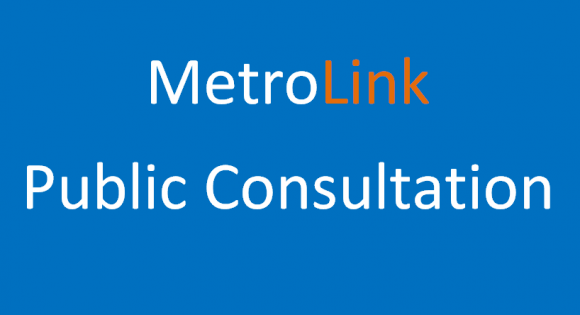 A public consultation is open and will end on 30th April. I would advise taking a look at the detailed proposals for your area & regular transport routes to see how they may change. Consider the best options for the future of local traffic and give your feedback – here. Details of information events are here. 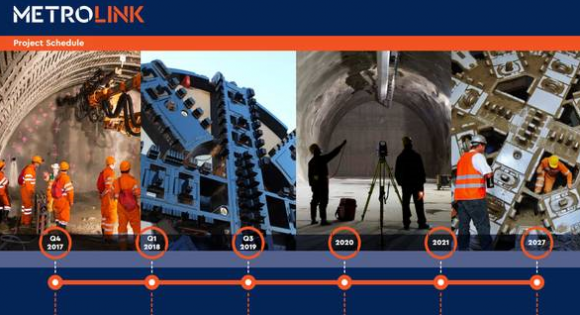 See below a link to all of the information I have shared on phase 2, which followed the same process. On Monday a community forum was established for bus corridor #10 (Tallaght to Terenure). A representative from my office attended to hear people’s concerns and feedback. To see some issues that have been raised, responses that the National Transport Authority have given and the best ways to engage in the process, go here. Details of upcoming public information evenings are here. To see more information I have recently shared on the bus corridors, go here. This weekend there will be disruptions to water services in areas in Dublin 2, 4 & 6 due to repair works being carried out to fix a leak. Irish Water is encouraging customers to conserve water while these repairs are underway. If you have any queries you can contact Irish Water’s customer care helpline on 1850 278 278. The areas that may be impacted include Booterstown, Mt. Merrion Avenue, Seafield, Nutley Park, Anglesea Road, Merrion Road North, Merrion Road South, Bath Avenue, Gilford Road, Pembroke Road, Mespil Road, Sussex Terrace, Belmont, Richmond Hill, UCD, and the City Centre. On Monday a community forum was established for bus corridor #10 (Tallaght to Terenure). A representative from my office attended to hear people’s concerns and feedback. To see some issues that have been raised, responses that the National Transport Authority have given and the best ways to engage in the process, go here. Details of upcoming public information evenings are here. 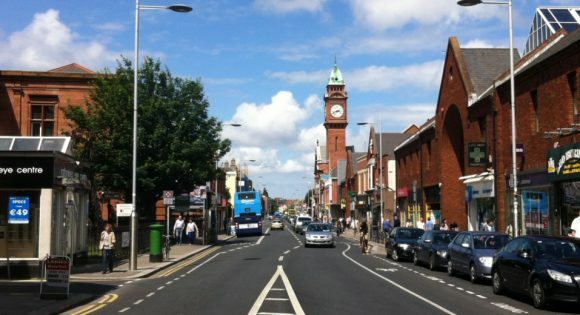 Following on from the Community Forum on Monday; focussing on corridor #11 (Kimmage to City Centre), I wanted to share some further details. To see some issues that have been raised, responses that the National Transport Authority have given and the best ways to engage in the process, go here. On Monday the first Community Forum meeting for phase 2 took place, for corridor #12 (Rathfarnham to City Centre). Many concerns were raised about traffic & infrastructural changes and potential compulsory purchase orders. The National Transport Authority (NTA) reiterated that this proposal is just a first draft and that they are happy to make amendments – they are encouraging feedback. 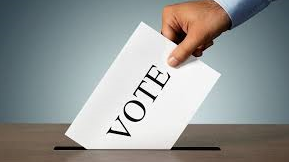 Another issue that was raised was the cut-off date for the public consultation – the NTA have agreed to consider extending the deadline and it will likely be pushed back beyond 29th March. Take a look at the plan and give your feedback here. 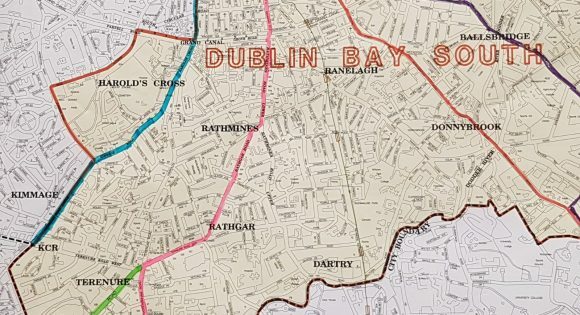 The publishing of phase 3 (affecting Ballsbridge, Donnybrook, Merrion, Ringsend & City Centre) has been delayed slightly and should happen at the end of February. Information evenings will also be held for each corridor – you can see details for these and for the community forums, here. I or a representative from my office will be at all of these events. The Community forums are intended to offer representatives (from local resident, community and business associations, along with public representatives) a chance to discuss the impacts that the changes may have, and contribute towards the design of the plan. The forums will be active throughout all stages of the process. The full process is expected to proceed as follows: public consultation; revisions to the project; further public consultation; final revisions; an Environmental Impact Assessment Report is prepared; government approval is sought to apply for planning consent; and finally an application is made to An Bord Pleanála. I was very impressed by the standard of talent and ingenuity at this year’s BT Young Scientist & Technology Exhibition. 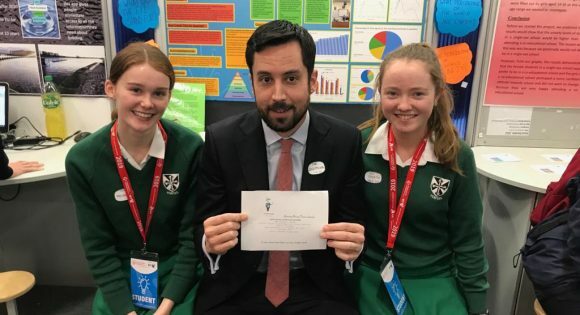 I visited some of the local school’s stands to check out the projects – from achieving a more representative Dáil, to teaching by personality type, talking with lasers, understanding magic and Winnie the Pooh & meditation – great work by all, well done. A big congrats to the local winners from Muckross, Gonzaga, Synge St., St. Mary’s, Terenure College, St. Michael’s and Sandford Park. You can see a list of all of the prizewinners here. To see some pictures from the event, go here, here and here.